Solar powered, electric 240 volt and 240 volt with battery back-up on light. 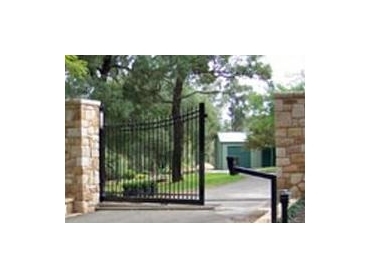 All automated gates are protected by a DuraBOND protective coating. This non toxic zinc-rich thermosetting powder coating gives gates excellent corrosion resistance.